Shining Resonance's PS4 remaster hits Japan in a little over a month. A new trailer from Sega highlights certain aspects of the game's new version. At least the art is consistent with where the series has been in the past. Though it feels like they are trying very hard to be more Tales like than Shining like. This looks okay, I just don't understand why they are so adverse to bringing the series back to the tactics style that it was in the 90s. At least remastering the Shining Force series. My friend bought me this game (PS3) when he was in Japan. However, I wasn't able to find a decent walkthrough, so I've not played it yet. Sega, feel free to use valkyria chronicles 4 engine and game as a starting point for a new shining force. Both phantasy star and shining force suffer the same fate of never getting another traditional entry. It’s a shame. 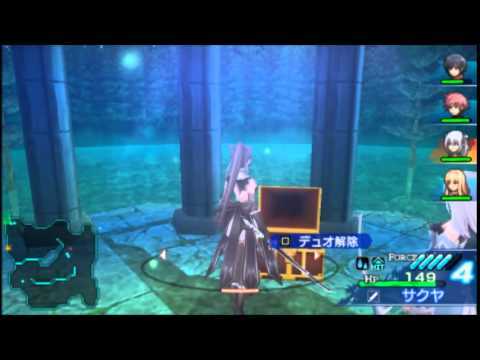 Shining Blade on PSP kinda did that, but we never saw it here. I wonder if it was any good. I played a little of the import and enjoyed the gameplay, but I couldn't speak to the story or pacing overall.